• Saturday: after a little procrastination because my running buddy, Stacey, was volunteering at a 5K so she wasn’t able to meet with me for a run, I finally got up and made my way down to Ladybird Lake for a 7 mile run. It felt a little difficult, but not too bad. 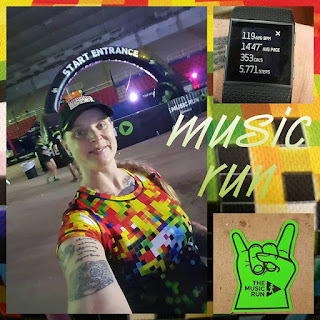 Later that day, my friend Heather and I went and participated in The Music Run and had a great time. We walked most of it, but that doesn’t matter. • Sunday: no workout. Went to the renaissance festival and fell short of my 10K steps by less than 200, but I didn’t have it in me at the end of the day to finish it up, so I just called it a day and went to bed. • Monday: again with the procrastination, but did still manage to get out of bed in time to get a full workout at the gym done. I’m very happy to report that I did not have the light headed feeling I was getting previously and was able to do my full 65 minutes on the elliptical. YAY! Then I did my strength training in the meathead free weight area. 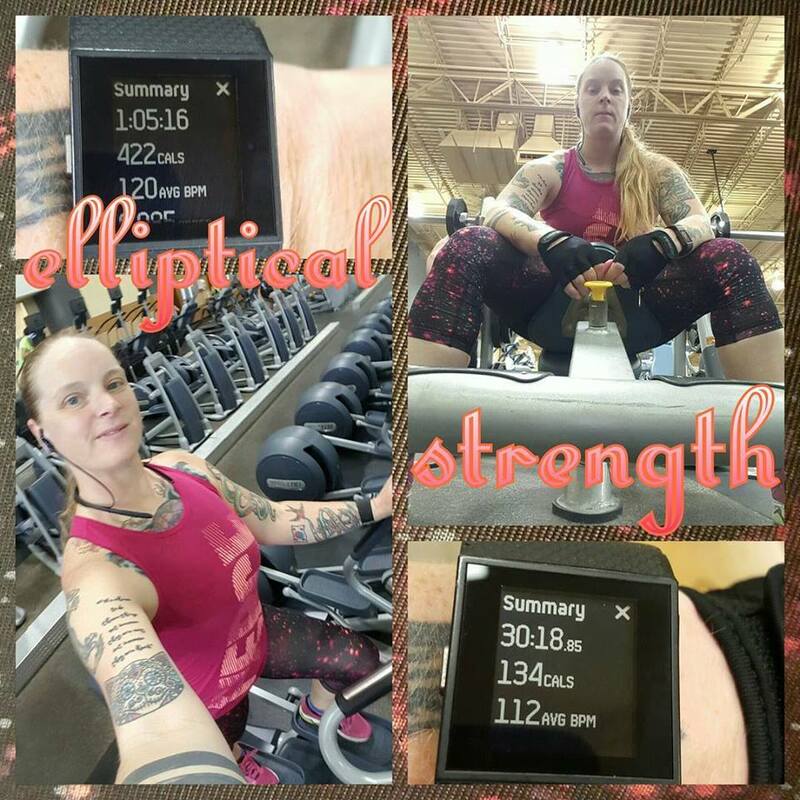 I did decline and incline bench, walking lunges, side bends, front and side arm raises, and overhead tricep extensions. It was a really good workout! 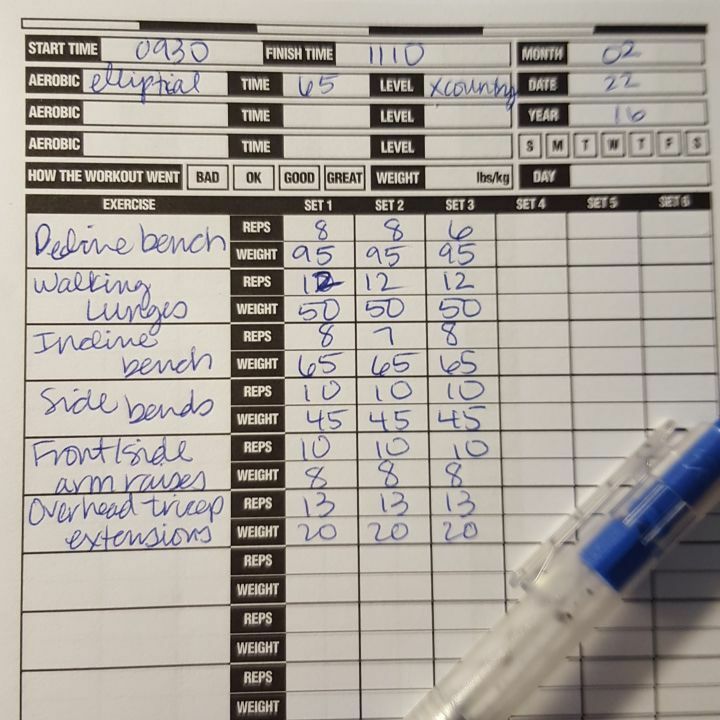 used my new workout log for the first time! 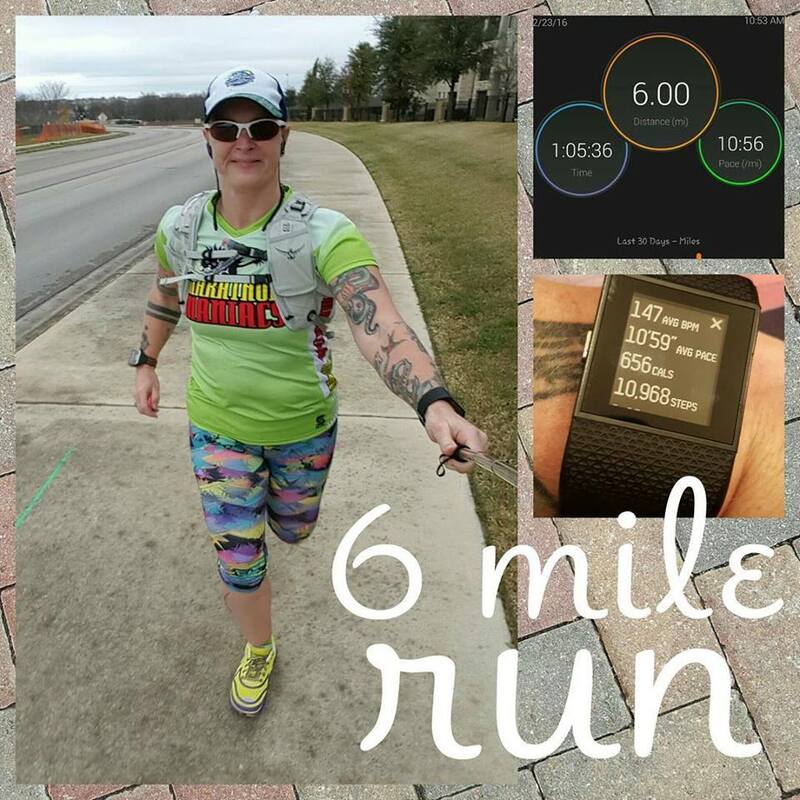 • Tuesday: set out to do a 5 mile run, but by mile 2 I was already feeling like I wanted to run more…that 5 miles wasn’t going to be enough. I initially toyed with the idea of doing 7 or 8 as I wasn’t in any kind of time crunch, but ended up doing 6. 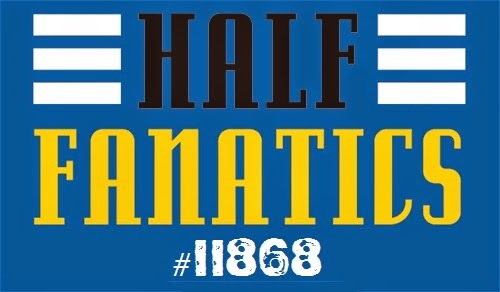 Wasn’t at a fast pace…10:56 average pace. 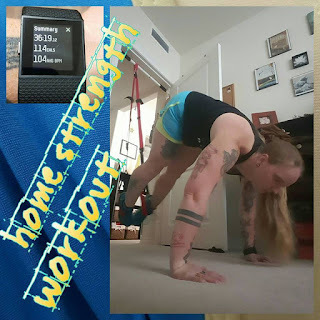 I was pretty sore from Monday’s strength workout, specifically the lunges. Oof! I ran in my yellow Altras. Now that the marathon is done and run, I want to try and run in my zero drop shoes a little more often…like once a week. • Wednesday: no workout. 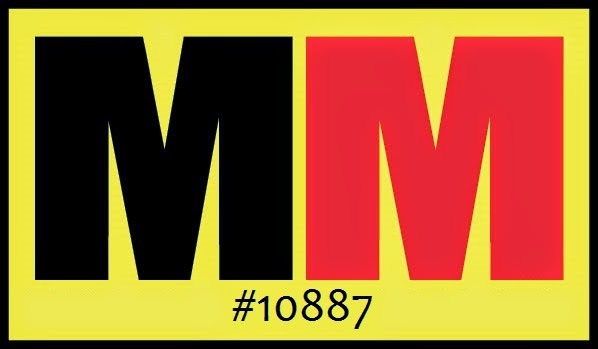 I picked up overtime on the morning shift on this day, so I just focused on getting as many steps as I could during the day. • Thursday: was flip-flopping on what I wanted to do for a workout on this day. Originally, I wanted to go to the gym and do the elliptical plus strength training. I slept in a bit and by the time I finished my coffee is the time I should have been arriving at the gym if I were going to do what I’d originally planned to do. So, instead, I decided to get some stuff done around the house. Put together my scrapbook pages for the Austin Marathon and for The Music Run and then I attempted to install my exercise straps (generic TRX). 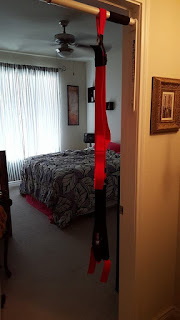 However, I couldn’t get the self-tapping screws to tap into the beam in my entryway, so I just wrapped them around my pullup bar in my bedroom doorway. Being there it limits the exercises I’m able to do with them as it’s a somewhat narrow area whereas the entryway is a little more open. So, I got those wrapped around my pullup bar and proceeded to do the majority of my TRX workout. Oh, I also tried to air up my new BOSU ball, but it won’t stay aired up after I turn off the air pump, so I can’t get the plug in it. I might be returning it and finding a different brand of the same kind of piece of equipment. SO! I had a nice exercise strap workout along with some side steps and bicep curls with the resistance band I got from 5 Below. 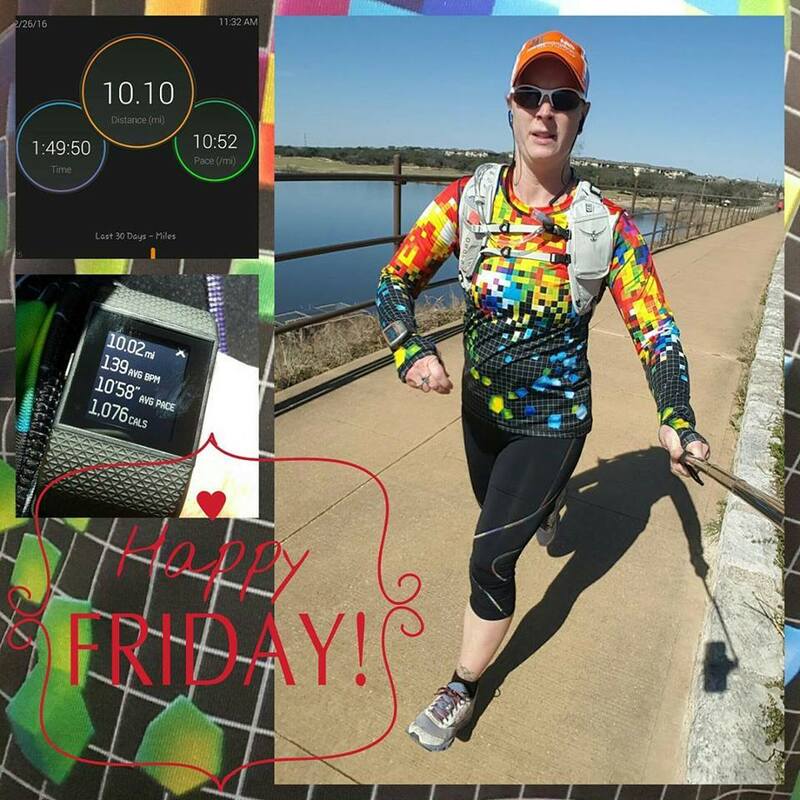 • Friday: went to the Brushy Creek Regional Trail (BCRT) and ran 10.1 miles. This run wasn’t a total slogfest, but it didn’t feel super smooth either. 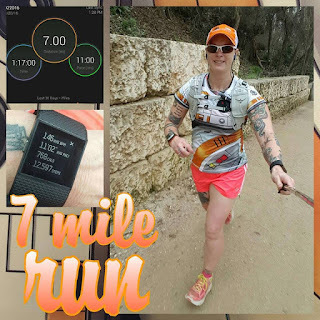 I did the first 6 miles on the part of the trail I’ve run on previously, but the second 4.1 miles was in the opposite direction and was therefore a new trail to me. I really liked it! Not sure if I’ll go there or Ladybird Lake for tomorrow’s run. 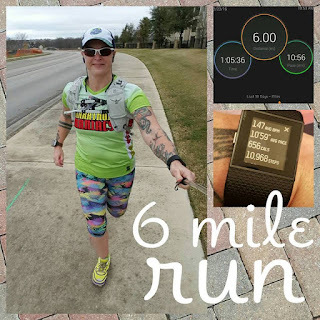 I ordered the INKnBURN pixels pullover last month as part of my Club INB membership and was afraid that Texas was not going to get cool enough this year for me to wear it, but I got lucky and it was below 50° for this run and I got to wear it! I love it! I’ve really got to get my weekend eating a little more under control. I didn’t “super” over eat, but I didn’t eat very conservatively either. I definitely could have done much better, even for weekend eating. I need to not go so “hog wild” on the weekends and treat it like a free for all. I don’t really have a plan for weekend eating and I need to fix that. I do want the weekends to be a bit of a break from what I’m eating during the week, but it needs to not deviate so much from my ideal eating plan. 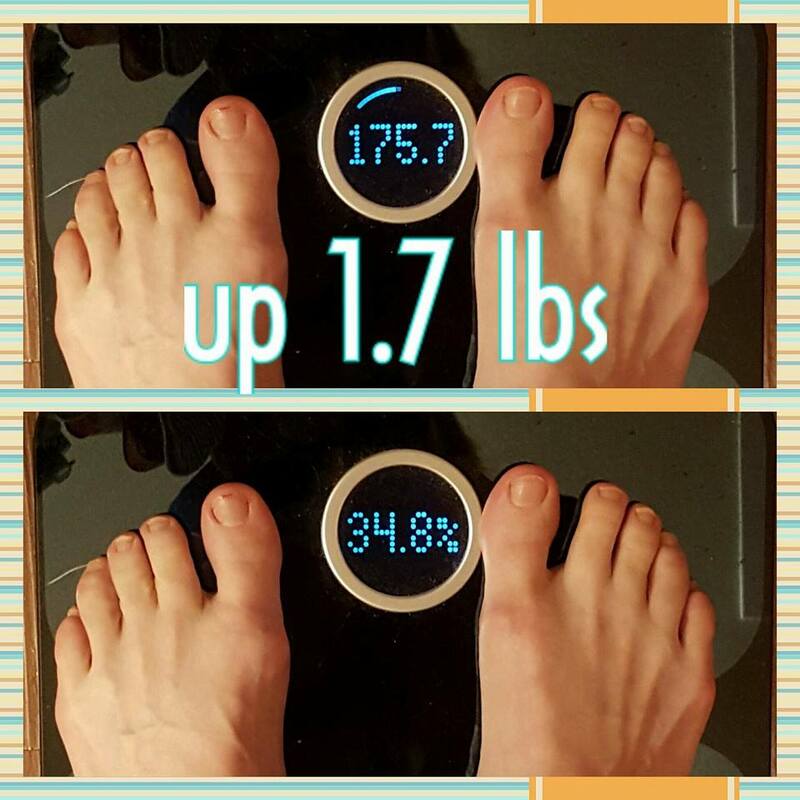 I guarantee I will see better results on the scale and in the mirror and in the way my clothes fit and look on me if I can come up with a weekend eating game plan. When I work overtime on the morning shift, like I did on Wednesday, I usually end up at the courthouse cafeteria for breakfast around 8am because their breakfast platter is super cheap and yummy. however, it is anything but good for you. It includes a sausage patty or bacon, 2 scoops of scrambled eggs (cooked in butter), a hashbrown or potatoes, and a biscuit that I put full sugar content jelly on. Oh and I got a brownie too. I planned for that whole breakfast platter and logged it before the day even started, but I do regret the brownie. 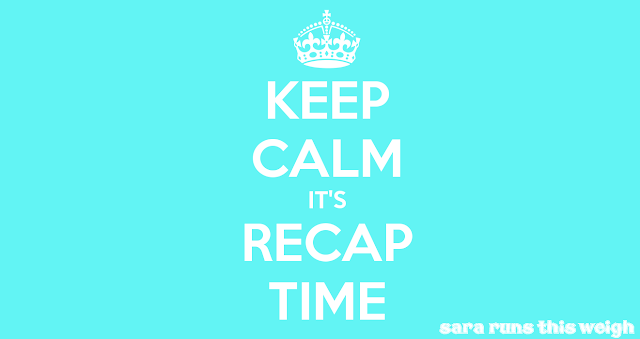 It wasn’t planned for and it wasn’t even all that great. hello, my name is BOSU and I am here to pump you up! 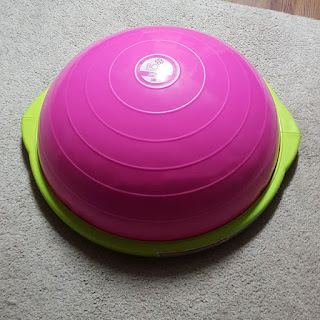 I also received the BOSU ball I ordered earlier in the month this week. However, the pump that came with it was a piece of crap and wouldn't work, so I messaged the seller and he contacted BOSU and they sent me a replacement pump that arrived in today's mail. This pump was a hand pump instead of a foot pump and it worked fantastically! 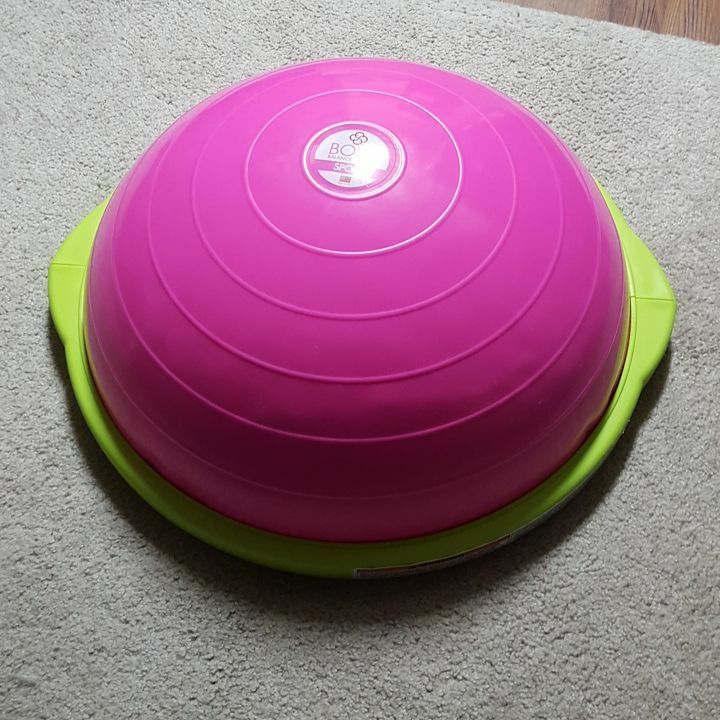 I now have a fully inflated BOSU ball ready for me to use! WOOT! I didn’t come into today’s weigh in really expecting much. 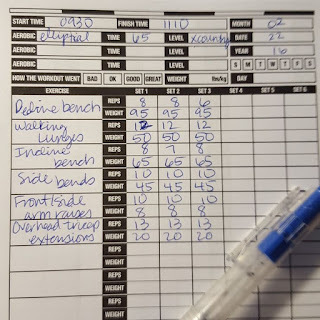 I think the way I worked out and ate this week were more in line with maintenance than with weight loss, so we’ll see. Sigh. I go down...I go up. I feel like I was fairly good with eating this week, but I did have a bunch of chocolate at the end of the day yesterday...so maybe that had something to do with it? The fat girl inside me is whispering to just give up but I can't listen to that voice. I won't listen to that voice. I *will* get back down in the 160's again and I *will* maintain it. Anything worth doing isn't easy. If it were easy, everyone would do it.